In the National Portrait Gallery’s newest exhibition, “Unseen: Our Past in a New Light,” the two artists take contrasting approaches—and work in two different mediums—to tell the stories of the missing and overlooked. The museum’s director Kim Sajet says Unseen hopefully will act as a town square. “It seeks to encourage discussion about history, how we remember, and how portraits can be a way to understand ourselves,” she says. For centuries, portraiture—in America and elsewhere—has been devoted to the exposition of the lives of the rich, the famous, the royal, the historical, the heroic. But what about those Americans who didn’t get to have their portraits painted—because they were not white, or not a landowner, or a member of a wealthy family? What does art—and art history—say about them? Unseen challenges portraiture’s tradition, says Asma Naeem, the Portrait Gallery’s curator of prints, drawing and media arts and a co-curator of the new exhibition. “Whose picture is shown on our walls? Who has been erased from history? Who hasn’t been shown?” The exclusions “can lead to different interpretations of history,” says Naeem. 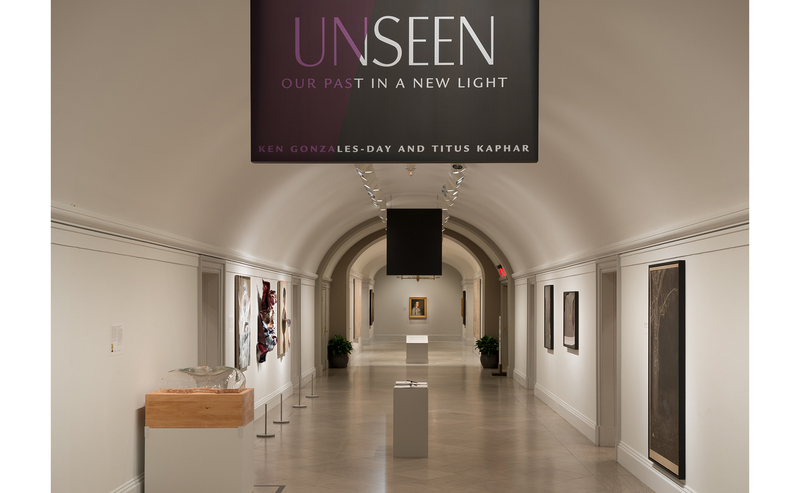 Ken Gonzales-Day’s approach is to extract lost or forgotten history. The Los Angeles-based artist believes that for too long, both art and museums have created and reinforced racialized structures and notions. The objects displayed in museums—or in public parks and squares—help make his case, he says. “I’m looking for clues that there’s a history of this thing called race on this land we call America,” he says. The objects—sculptures, photos, other artworks—are traces of that history, says Gonzales-Day. “Ken uses the camera as the main vehicle to really look at systems of representation,” says the show’s other curator, Taína Caragol, who specializes in Latino art and history at the Portrait Gallery. Gonzales-Day’s photographs give the viewer a “a look at how racial hierarchies are constructed,” she says. Gonzales-Day, 51, says the conversation about race and history, “is very, very unhinged in our country. We don’t have any way of talking about it.” Art is a lever, a prod, a point of departure. Art is also a training mechanism, he says. 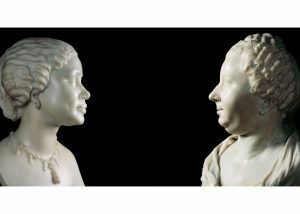 In his Profiled series, Gonzales-Day juxtaposes stark photos of classical sculptures and busts of white men and women with equally stark photos of sculptures of Native Americans, Africans and other persons of color. The sculptures tend to be shot in isolation, often with a black background. He’s showing how these representations have informed our view of race over the centuries. Fourteen of his Profiled photos are exhibited in Unseen. Gonzales-Day’s modus operandi is to dig behind the representations, thoroughly researching the provenance of existing art pieces, identifying those who perhaps did not have a name or a story, and giving them substance and context through his interpretations. For Profiled, he burrowed into museum collections around the world, including the National Museum of Natural History in Paris, the Getty Collection in Los Angeles, and the Smithsonian’s National Museum Natural History and the Smithsonian American Art Museum. In Profiled, his camera focuses our gaze on what we’ve perhaps always taken for granted. “With these objects, we educated white people about who they were,” he says. And, it showed what they weren’t—dark, crude, blunt, heavy, plain, primitive. In his Erased Lynchings series, first exhibited in 2006, Gonzales-Day dug even deeper. It began with a dive into the history of racial violence in the West—and lynchings, in particular. He was moved to act in response to vigilante attacks on the Mexican border in the early 2000s. And he drew inspiration from the 2000 book, Without Sanctuary: Lynching Photography in America, which compiled 100 photographs of lynchings of African-Americans in the South. 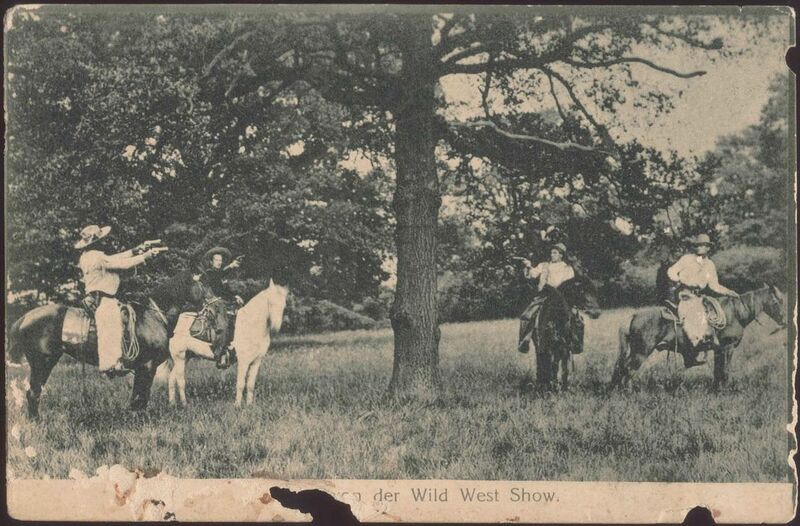 Many were taken by professionals, and they were often circulated as “postcards” from the hangings. Without Sanctuary was a kind of reckoning—tallying the deaths, exposing the horror that a lynching could be a publicly celebrated event. Gonzales-Day produced his own reality check—the 332-page Lynching in the West: 1850–1935. The book, published in 2006, established, for the first time, some 300 never-before documented hangings of primarily Latinos, but also Native Americans, Chinese and other non-whites—just in the state of California—between 1850 and 1935. Fifty had already been documented, but Gonzales-Day vastly expanded the knowledge of this particular racial violence. “It creates another narrative that’s been virtually ignored or erased, says Eduardo Díaz, director of the Smithsonian Latino Center, who adds that exhibitions like this are crucial for artists of color. It lets them use their own voices to discuss their place in America, he adds. “It’s very important for us as a Latino community to have our people interpreting and contextualizing our history,” Díaz says. For instance, when most Americans think about lynching, they “don’t think about ritualized murder that was perpetrated against Mexicans in California and Texas,” he says. It is an unknown, absent from history books. Much of the ugly violence—including lynchings—started after the 1848 Treaty of Guadalupe Hidalgo, which ended the Mexican War and stripped thousands of Mexicans of their nation and their land in an instant, says Díaz. Thus, began a long history of dispossession and institutionalized racism, which Gonzales-Day brings to the forefront, inviting the viewer to explore that forgotten history, he says. Gonzales-Day was not satisfied having just written a book exposing that violence; his research also led to his Erased Lynchings photos. He accessed historical photos—in archives, museum collections, and through online auction sites—and re-photographed them. He then digitally erased the hanging body. He didn’t want to “re-victimize the victims,” he says.